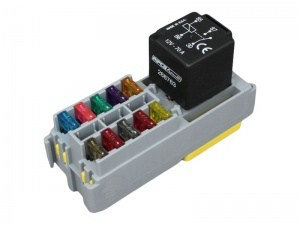 Module for holding 1 high power relay and 10 mini blade fuses, as part of the MTA modular fuse and relay system. 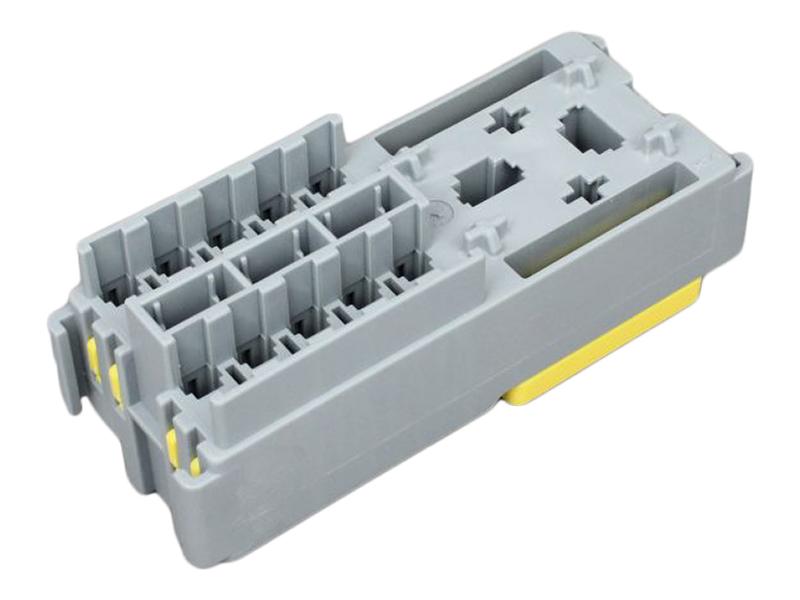 Terminals are crimped and/or soldered to the cable and then inserted into the underside of the module through a suitable panel cut-out. 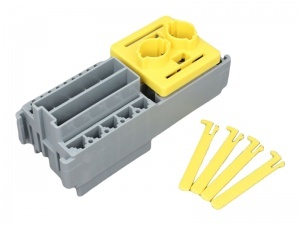 Once inserted, the yellow secondary locking bars and cage are pushed into place to prevent the terminals being pulled out. Please see the 'further information' section below for the full list of compatible terminals. Note: busbar terminals can be used for the fuses if cut-down to strips of 5.